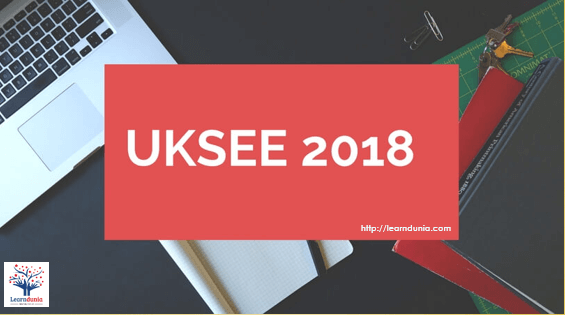 UKSEE Application Form 2018 is available from 1st week of May 2018. The examination is conducted by Uttarakhand Technical University (UTU) for providing admission to the first year B.Pharm, MCA, BHMCT programmes and second year MCA, B.Pharm, B.Tech programmes. The application form is available via online mode only. The application process of UKSEE includes filling of candidate’s details, document uploading and fee payment. Aspirants can fill their application form through the official link uksee.uktech.ac.in. For different courses, candidates are required to submit the separate form. The application fee of UKSEE 2018 will be Rs. 1000/- for the general category. The application fee of UKSEE 2018 will be RS. 500/- for the SC/ST. The application fee can be paid through online mode only via net banking, debit card and credit card. B.Tech Lateral Entry Qualifying Exam: Passed Diploma in Engineering/Technology. Passed B.Sc Degree and Intermediate with mathematics. Pharmacy 1st Year Qualifying Exam: Must qualified 10+2 with any recognized board. Subjects: Must have physics and chemistry as compulsory subjects along with one of the mathematics/ biology / biotechnology. B.Pharma Lateral Entry Qualifying Exam: Passed Diploma examination from AICTE approved institution. BHMCT (Hotel management) Qualifying Exam: should pass 12th exam. MCA Qualifying Exam: Bachelor’s Degree of minimum 3 years from recognized university. Subject: Must have mathematics at 10+2 level or graduate level. Subject: Mathematics as a core subject at intermediate level or at graduate level. Go to the official link uksee.uktech.ac.in. 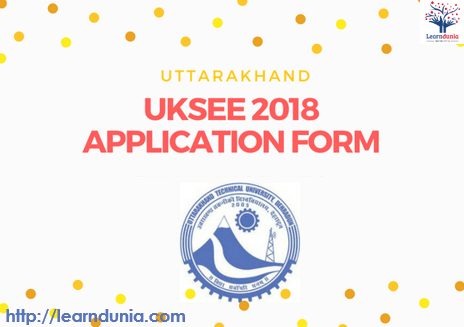 Click on the UKSEE 2018 and apply online Link. Read the instruction carefully, before filling the application form. Then, click on “Proceed for Registration”. Enter all the registration details like mail ID and mobile number. After the successfully registration, registration ID will be generated. Note down the registration no. and then click on “LOGIN”. Fill the all personal details like as, Name , father’s name, mother’s name, date of birth,gender, mobile no., email id, course applying for, etc. Fill your academic details & click on “save & continue” button. Fill the all other details and then click on “Submitted Button”. Now, you have to upload your scanned photograph & signature . Image size should be 35 x 45 mm covering 75% of face and signature size should be 20KB to 30 KB. Proper check the filled details & click on “submit” button. Now, make payment through online mode according to your category. After successful payment, take the printout of filled-in application form. Personal details like as Name, valid Mobile Number, valid Mail ID, etc. Fill the Proper address for communication. Scanned image and signature. Image size should be 35 x 45 mm covering 75% of face and signature size should be 20KB to 30 KB. Images should be in JPG format. No correction opportunity will be provided after the final submission of application form. Fill the application form carefully without committing any mistakes.